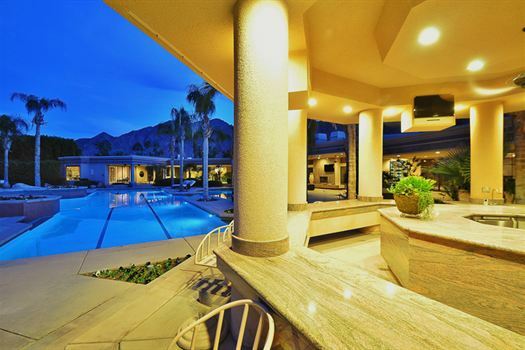 We were looking for a house with 12 bedrooms when I found Delgado Estates in one of my favorite locations Indian Wells. Upon arrival we had a little problem getting through the gate but once we got that all straightened out we didn't have any more issues. The house is VERY large giving everyone their own space including their own bedroom and bathroom. We didn't even use the detached guest homes that were on the property. But should our group happen to grow next year we will still be able to stay here. The house was very clean upon arrival and their maid service we used during the week was very professional. If you are looking for a large home to have an Executive Meeting, I would highly recommend the Delgado Estate. It fit all our needs and we plan on going back again next year.